True to script. Very well done, with devotion. Enjoyed the podcast. 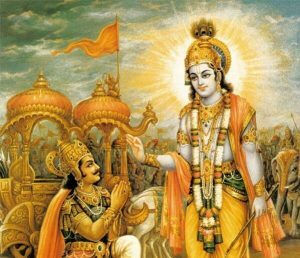 Dear Mr Sudipta, My blind son Krishna knows many slokas from Bhagavath Gita. I just opened your podcast first time Mahabharata Episode 54 & he is listening & enjoying. Mr Sudipta, I feel intrigued about how you managed to remain connected with Hindu philosophy living in USA for a such long time & find time, energy & finance to create these wonderful podcasts! You have done a commendable work in the production of these podcasts including the way you have used your excellent voice & background music, and I am keen to know how many people have listened to your podcasts on Mahabharata so far. How can we make your podcasts more famous in the world? Thus you will make our Hindu Sanatan Dharma popular across the world with today’s technology, advantage which unfortunately Swami Vivekananda didn’t have when He spoke in World Parliament of Religion in Chicago on another 9/11 in 1893. Unfortunately, we don’t even have a recording of his very powerful speech in his own voice. Do you have a channel on YouTube & presence on other social media on these very crucial episodes to make our Hindu Spirituality more popular to world audiences?